AN Aberdeen-based storage solutions specialist has made a key appointment as it continues to grow its furniture sales business. Greenwell Equipment (Greenwell) has appointed Fiona MacDonald as furniture sales assistant, following an increase in demand for new and used furniture. The specialist storage solutions company, which is based in East Tullos, Aberdeen, was established in 1996 as a second-hand furniture business, and has since grown to a multi-million pound enterprise, specialising in containers, cabins and racking. Miss McDonald, 25, who has a degree in international hospitality, brings a number of years of customer service experience, having worked in a variety of prestigious hospitality institutions across the world. She has recently returned to the Granite City after spending two years working in Australia and New Zealand. Scott Brown, sales director for Greenwell, said: “Fiona has excellent customer services skills as well as a keen eye for display. Greenwell’s furniture business is growing from strength to strength, with sales ranging from a single desk to supplying chairs, desks and storage equipment for entire offices. 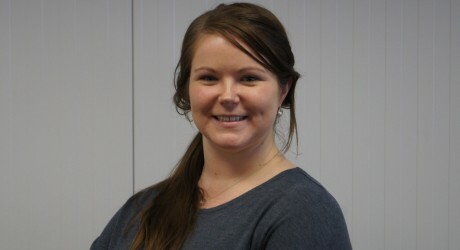 Fiona will help Greenwell clients to find the exact product for their needs.